Thanks to the experience obtained by atexdelvalle, it has managed to launch a new product of antenna atex Wi-Fi. The antenna Atex Wi-Fi system, with an IP 66 degree of tightness, includes an Ex antenna, ICECEx that can be used in zones 1 and 2. 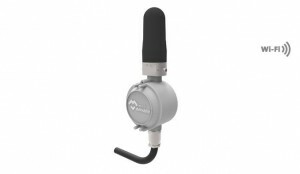 This antenna Atex is mounted over a lightweight and compact enclosure (Ex d – flameproof) made from aluminium alloy used to adjust the cable, with access through an NPT cable gland (Ex d) for unarmed cables (sizes: 8/10,5mm – 10,5/13mm – 13/15.5mm – 15.5/18mm). The extensive range offered caters to specific customer requirements and can be installed in areas classified as Zone 1, 2 (hazardous areas). On the other hand, the antenna has integrated TNC coaxial connector for ease of installation. The upper body is optimized for rugged industrial and hazardous applications while maintaining maximum radio frequency transmission and reception efficiency. Utility systems with the possibility of explosive gases presence.